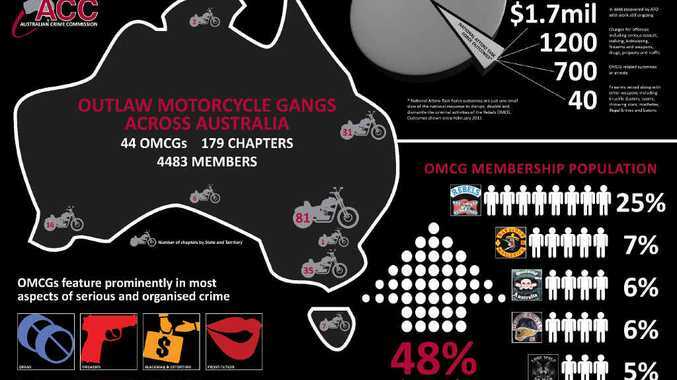 DATA held by the Australian Crime Commission shows there are more than 40 outlaw motorcycle gangs currently operating in Australia, with about 6000 "patched" members who see themselves as the 'one percenters' who operate outside the law-as opposed to the 99 per cent operating within its confines. Crime authorities remain adamant it is the criminal activities of OMCGs that distinguish them from recreational motorcycle riding clubs, which are made up of people who get together solely to ride their motorcycles and socialise. The ACC says OMCG activities are mostly domestic, but there was an increasing prevalence of international connections. Australian OMCGs evolved from core groups of Caucasian men from working class backgrounds. They sought to emulate OMCGs established overseas, originally in the United States, after World War II. Club members were expected to obey strict rules and a militaristic hierarchy that levied harsh and sometimes violent retribution for disobedience. 'Prerequisites' for admission to OMCGs have been relaxed to ensure growth of OMCG membership. This, combined with Australia's increasingly multi-cultural population and a desire to broaden spheres of influence, means the traditional make-up of OMCGs has changed. Some gangs do not work to a constitution and others include members who do not even ride motorcycles. While OMCG members play a prominent role in Australia's domestic production of amphetamine-type stimulants, they are also involved in other illicit drug markets, vehicle rebirthing and firearms trafficking. The Australian Crime Commission conservatively estimates that serious and organised crime costs Australia $15 billion every year. 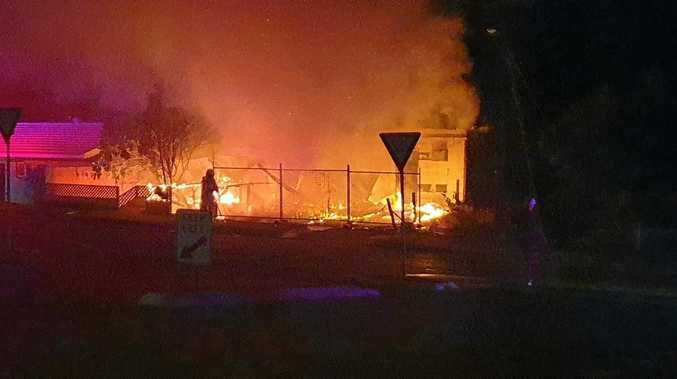 This cost comprises loss of business and taxation revenues, expenditure on law enforcement and social impacts of crime.